One of the biggest nuisances our clients ask us about is pesky little sugar ants. No matter how clean a home is, ants seem to invade at least once per year (and often much more!). 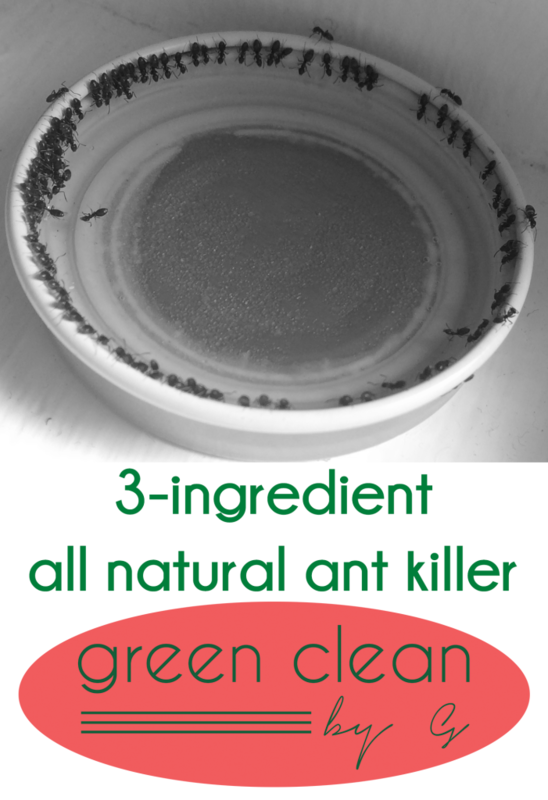 Here is our 3-ingredient, all natural recipe for killing ants. Combine sugar and borax in a small, lidded jar. Shake well. Fill a shallow dish (an old lid works well) about half way with the powder and add just enough water to dissolve, stirring well. Place the dish along the path where you have seen ants. Within minutes you will start to see ants climbing the lip of the dish. Don’t be surprised if you soon have loads of ants partaking from the dish. Resist the urge to wipe them up; they will take the mixture back to their ant hill, killing the ants within. In about 24-48 hours, you should notice that the ants stop coming. Keep any extra powder for the next time you notice ants. We recommend not adding water until you are going to use the ant killer as storing it in liquid form can lead to dry out and/or an inconsistent ratio of sugar to Borax. Shake the powder mixture well before each use.